Some may try to tell you that fresh food is best, but interestingly, frozen food may be just as healthy, and in some cases may even be healthier, than their fresh food counterparts. The types of frozen foods out there can range drastically from frozen fruits and vegetables to TV dinners, to breakfast items. Sure, there are also frozen desserts and frozen foods that are deemed fatty, high in salt content, and chemical-filled. But little do most people realize that frozen foods aren’t as bad as they how they are viewed. There are actually dozens of healthy options that are found in the frozen section of your grocery store. While not consider a favorite vegetable for a lot of people, Brussel sprouts are a member of the cabbage family and provide a healthy a plethora of nutrients, including magnesium, phosphorus, thiamine, potassium, vitamin B6, vitamin C, vitamin K, fiber, and iron. Brussel sprouts do not have to be eaten raw; they can also be sautéed, roasted, baked, or even grilled. Many prefer them with lemon or garlic. Others like them caramelized. Then there are some who love with a dash of salt and pepper and a drizzle of olive oil. Kale is one superfood that has been quite popular in the latter years. According to Harvard research, kale is rich in vitamin A, vitamin B6, vitamin C, vitamin K, folate, manganese, fiber, and carotenoids and zeaxanthin. By providing these nutrients, especially fiber, kale is also said to reduce the development of erectile dysfunction. It’s okay if you’re not a salad person. Kale can be put in smoothies, be placed on a sandwich or burger in replacement of lettuce, or can be sautéed with garlic and olive oil. For individuals suffering from low testosterone, increasing your protein intake can be a way to assist with this problem. 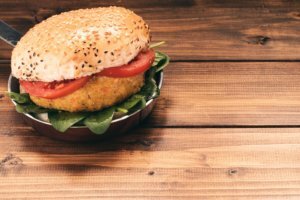 One way to intake more protein is to consume more veggie burgers which are meatless protein patties jampacked with vegetables to provide a wide array of vitamins and nutrients for overall better health. The great thing about purchasing frozen veggie burgers is that they have a significantly longer shelf life. Plus, when you come home tired from a long day, they’re super simple to heat up. Mangoes are sweet, juicy, and refreshing –, especially in the summertime. They are filled with protein, vitamin A, vitamin B6, vitamin C, folate, potassium, and cancer-fighting antioxidants. They can slow the aging process, assist with cardiovascular diseases, and aid neurodegenerative disorders, according to one study. But did you know that mango is one of the best testosterone boosters? Mango may seem like a “feminine” fruit, but fruits like mango reduce dihydrotestosterone (which normally reduce testosterone in the body) to counteract its effect on the “male” hormone. Eat fruit regularly for a few months for best results. To some, burritos can seem greasy and generally low in nutrients (or as some say, they provide “empty calories”), especially in frozen form. But there are many different burritos that can be found in the frozen section of grocery stores from vegan to gluten-free, to low sodium options. Frozen burritos, if you come across the right products, can be composed of ingredients other than just beans and cheese and may also contain nutritious vegetables. Pizza is another food deemed unhealthy by many, often due to its grease content. Others find the gluten components of pizza to be the most unattractive thing about this Italian dish. Some avoid pizza altogether or simply cannot consume it based on health purposes. 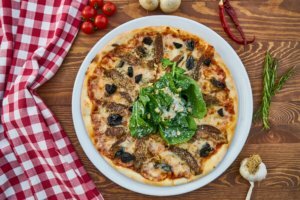 However, there are frozen pizzas and frozen pizza crusts out there that can be found with organic, vegetarian, vegan, or even gluten-free ingredients. There are even crusts made of veggies instead of wheat, such as with cauliflower, that can still provide a bready base. Edamame, even fresh, tends to get a bad rep because it contains soy. However, soy can be a great source of protein – excellent for increasing low testosterone, repairing and building tissues, and assisting in optimal muscle growth. Research has also shown that soy products such as edamame may help breast cancer patients live a longer life. Buying frozen edamame is great not just because it has health benefits but because it is so versatile. Edamame can be eaten in salads, hummus, pasta dishes, or even by itself with olive oil, garlic, salt, and pepper. As many knows, cauliflower is a very healthy vegetable. Unfortunately, not everyone loves it. But in frozen form, you can find a nice selection of not just plain ole frozen cauliflower but also other transformations from gluten-free cauliflower rice to pizza crusts. Cauliflower contains manganese, choline, vitamin B6, vitamin C, vitamin K, fiber, biotin, omega-3 fatty acids, phosphorus, pantothenic acid, calcium, and iron. It is considered one of the healthiest vegetables on this planet and can be plenty versatile in cooking as it is a bit bland yet has great texture. If you don’t have a shellfish allergy or an undying hatred for shrimp, you will be pleased to know that frozen shrimp is not any less unhealthy than fresh shrimp. Best of all, fresh shrimp only have a shelf life of a few days, but when frozen, they can last weeks, allowing you to enjoy it for longer. Shrimp contains protein, iodine, copper, choline, vitamin B12, selenium, phosphorus, calcium, iron, and magnesium. Shrimp have a lot of great nutrients for being so tiny! What’s better than opting for enchiladas? Frozen enchiladas! Despite the fact that some consider them to be salty, fatty, and high in calories for their size. However, scoping the frozen section of a food store, you’ll discover that there is a great variety of healthier enchilada options. There’s no doubt that there are gluten-free, vegan, vegetarian, non-GMO, and even organic enchiladas out there. Some options even are filled with nutritious veggies– allowing you to cave into your Mexican food cravings without regret. If you’re a meat eater, you probably attempt to avoid beef pot roast as it is mostly viewed as a “comfort food.” While it is warm, juicy, and undoubtedly delicious, beef pot roast can have numerous health benefits. Starting off with the veggies, beef pot roast is often composed of potatoes and carrots which both have vitamin B6, potassium, and antioxidants. As for beef and other forms of protein, they are said to reduce LDL cholesterol (bad cholesterol), according to a 2012 study. Many would agree that when chicken is prepared in specific ways, it can be considered healthy. But others often bat their eyes at chicken nuggets and strips, seeing them as an unhealthy, salty, greasy form of chicken with little to no nutritional value, according to them. Shopping in the frozen section of a supermarket, you can find organic and low sodium frozen chicken. Even if you’re vegan, vegetarian, or simply don’t like chicken, there are frozen food options that are completely meatless. With less sodium and grease than traditional, deep-fried potato fries, frozen veggie fries are a healthier alternative. You can find some frozen veggie fries that are prebaked instead of fried, helping them to better retain their vitamins and nutrients and making them less greasy. Many veggie fry options are also offered in vegetables that go beyond just the potato, some of which may have different or even better nutritional value. You can find veggie fries in different thicknesses and cuts to your liking. Overall, it’s clear to see that there are a variety of foods options that are frozen but aren’t ultimately bad for you. It’s true that some frozen meals have poor ingredients; however, many refrigerated, canned, and dried foods can have bad ingredients too. What’s more important is reading the labels of the foods you buy and knowing where they come from. Even for those who are still skeptical about frozen foods, the key to remember is everything should be kept in moderation. But remember, it’s okay to have something sweet every now and then. Just ensure you’re consuming mostly nutritious foods. Ben Arnold is a freelance writer and health and beauty advisor. Through his advanced studies, he has gain enormous experience in this field. In his free time, he loves to read books and enjoy music.